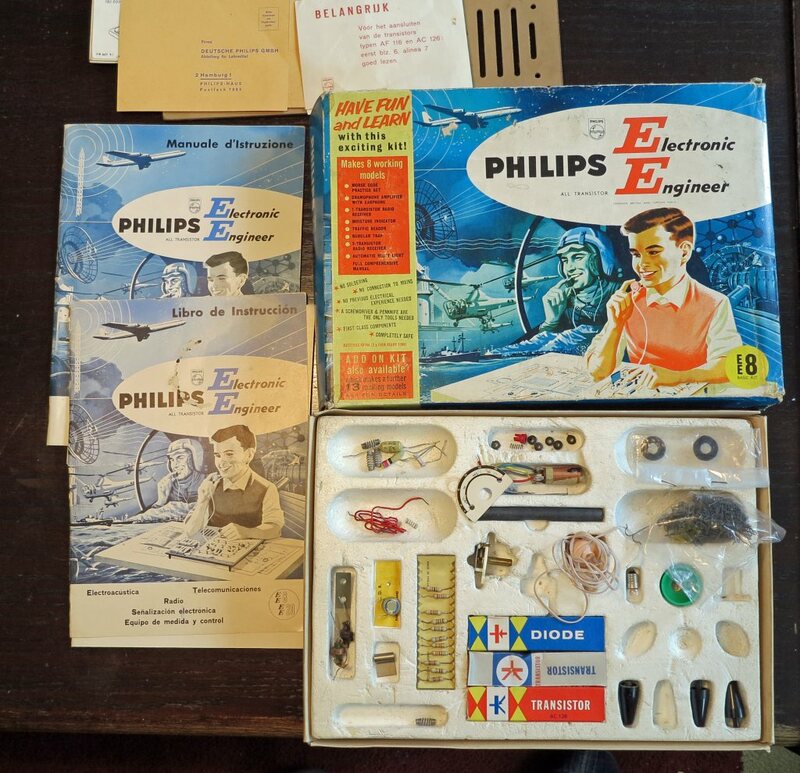 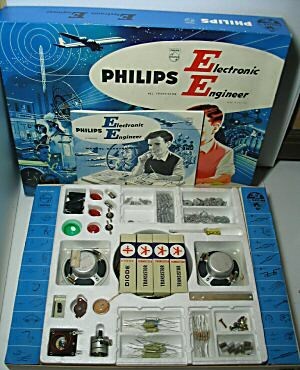 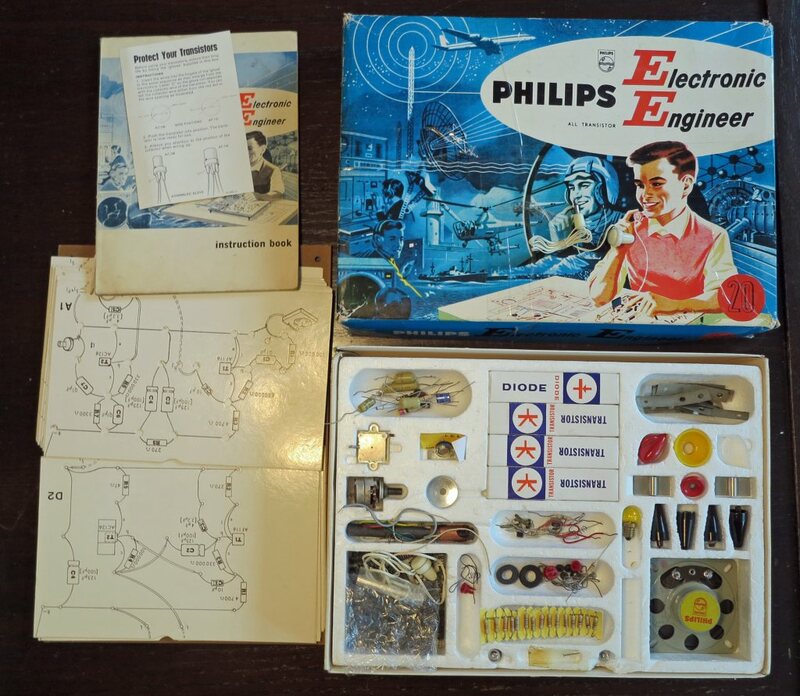 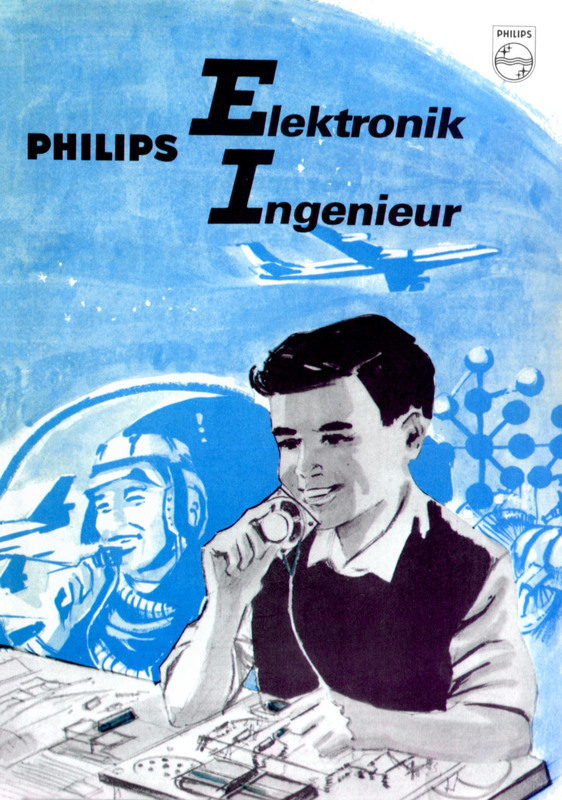 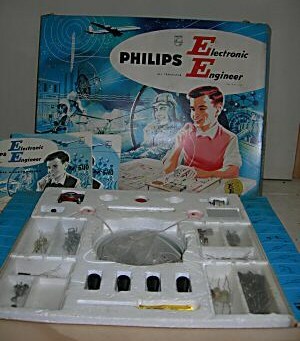 For a very short period, after the Philips Pionier Junior series ended and before the EE8/A20/E20 kits appeared worldwide, Philips has manufactured the EE5/10 series. 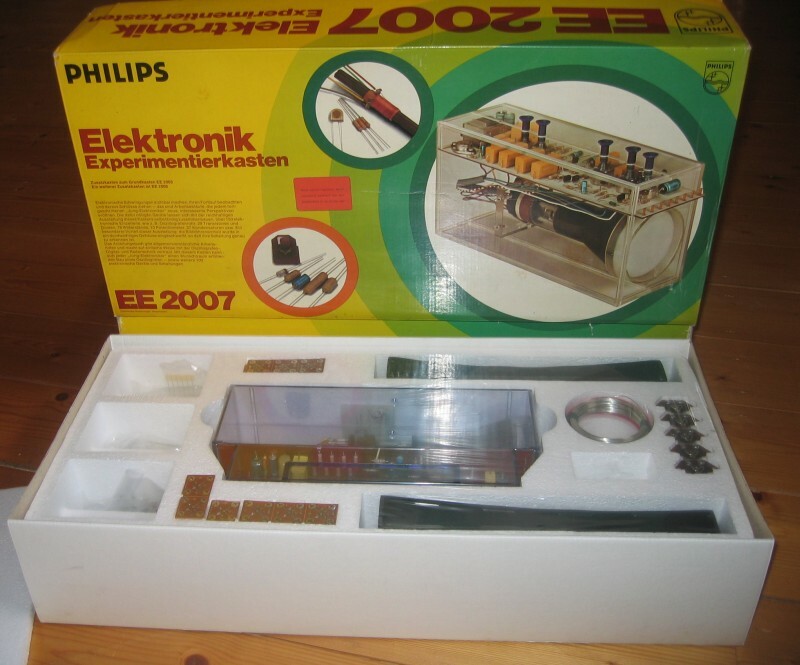 These two kits (no upgrade kit from EE5 to 10 is known) are a lot alike the successors EE8 and EE20. 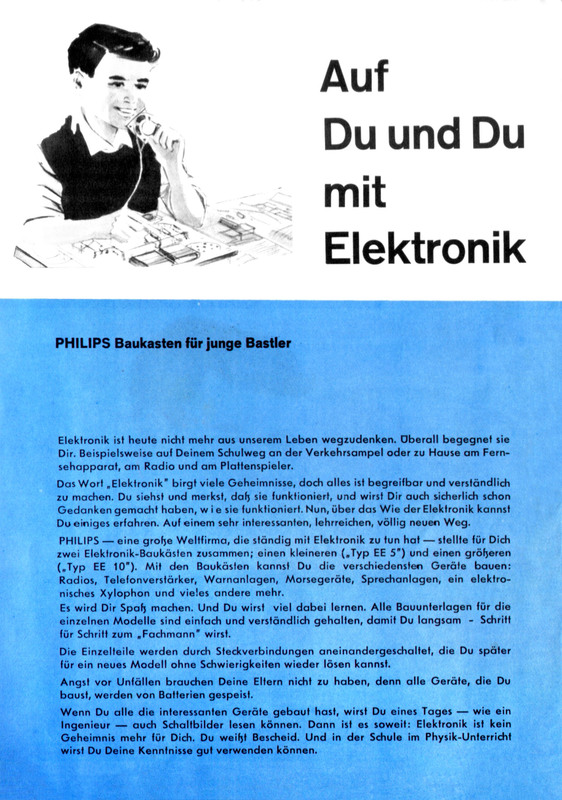 The difference between EE5 and EE10 are two loudspeakers, an extra transistor and more resistors and capacitors. 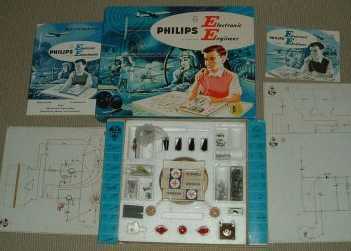 The manual is suitable for both EE5 and EE10. 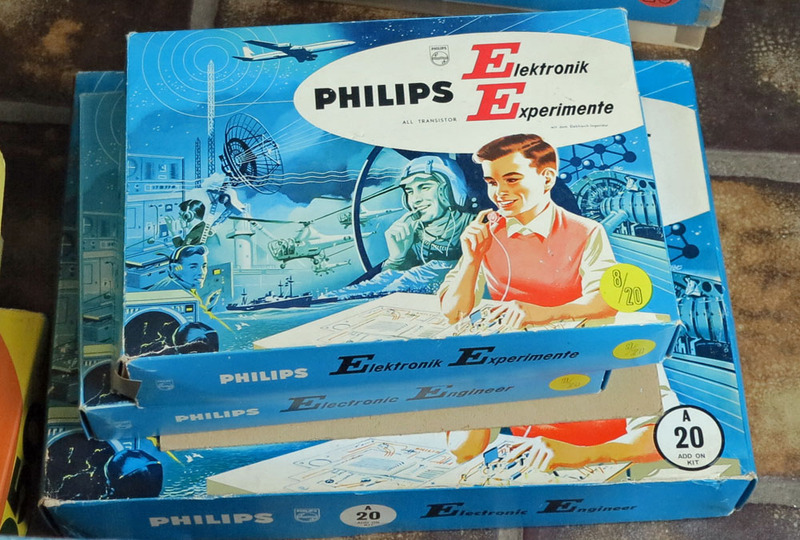 These kits were not only sold in the Netherlands and Belgium, but at least also in Germany and France. 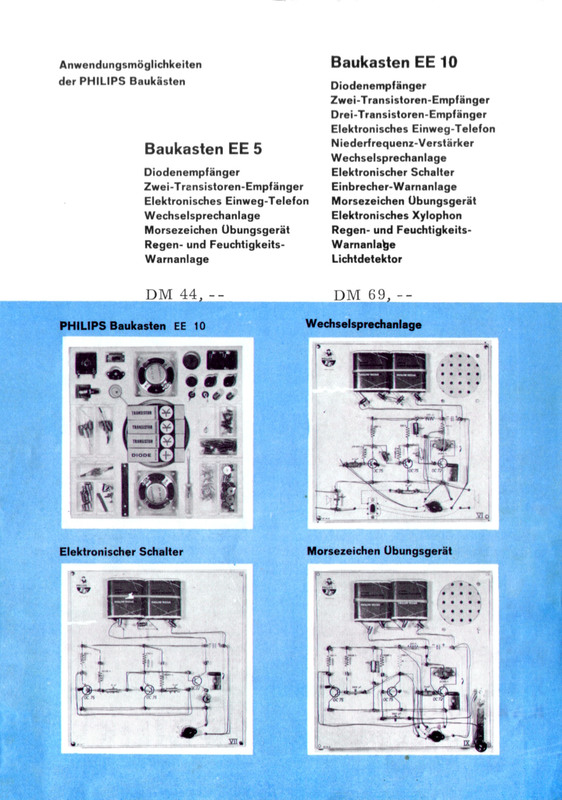 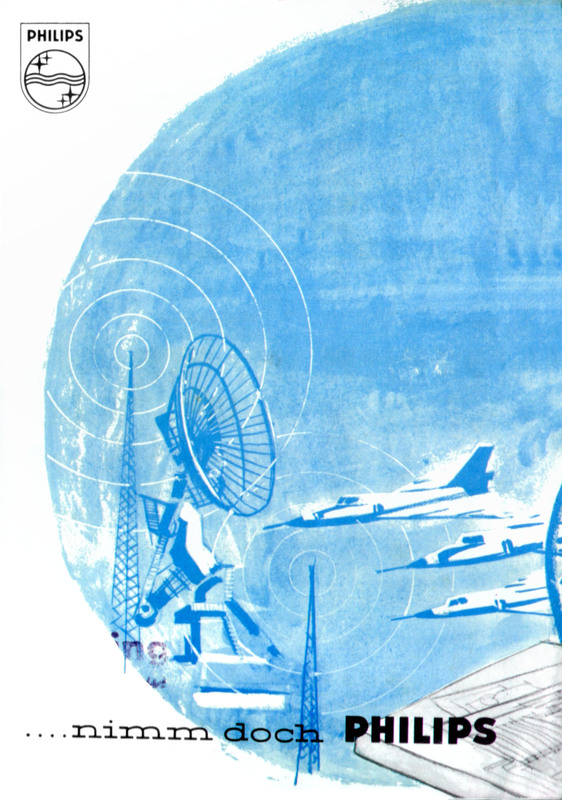 On this page I show you the photos os EE5 and 10 kits once in in my possession and the manuals and templates scans on a separate page. 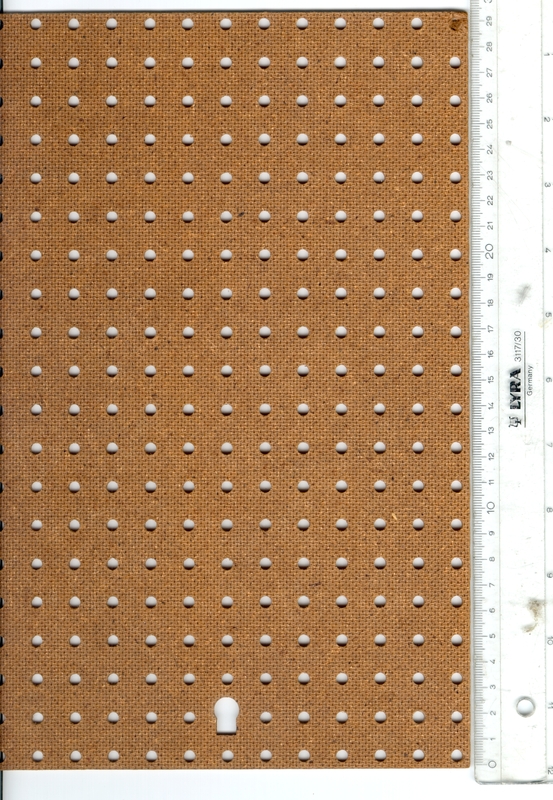 A square carton board with many standard holes for the hairpins and two holes for the variable capacitor and resistance. 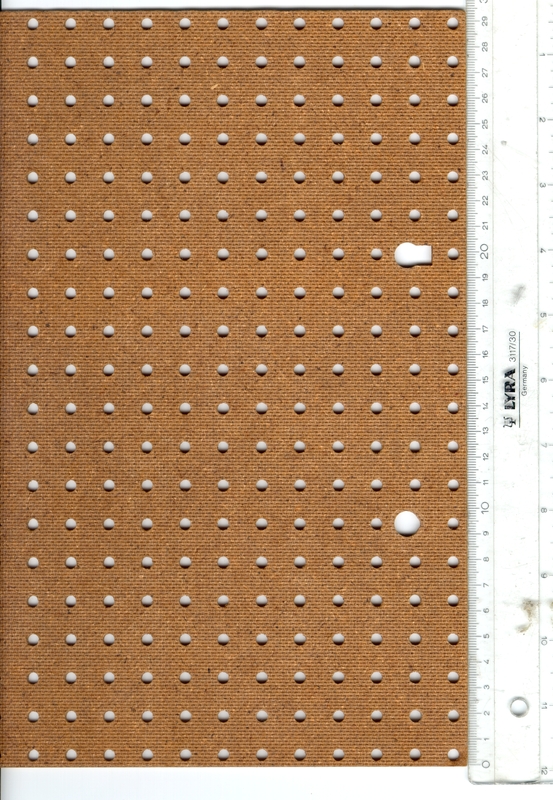 The next photos show the dimensions.